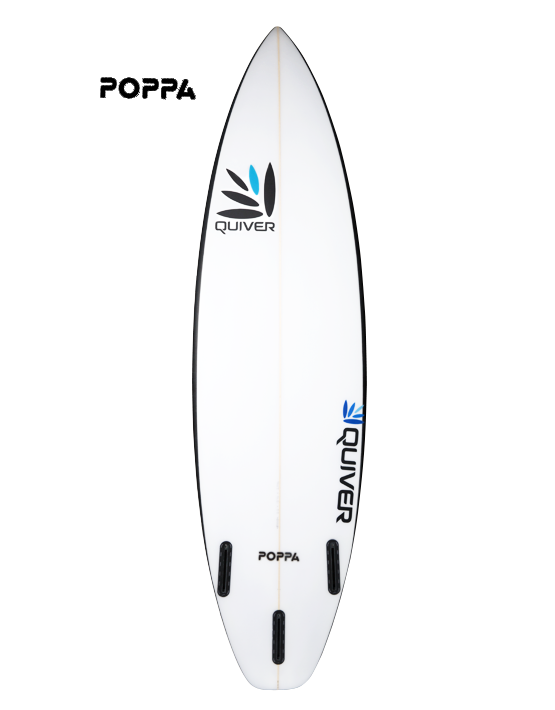 The Poppa II is a board you can use when the waves are weak, but can be used in the comps as a shortboard. Comes with a rocket, squash or a swallow tail. 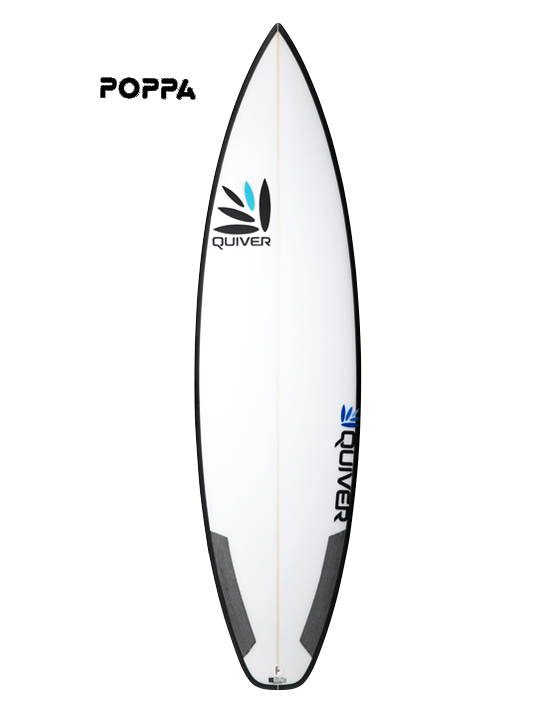 Should be ridden 1-2 inches shorter and slightly wider that your normal board. This is the board that will win competitions. 6’ 0" 18 7/8" 2 5/16"
Product ID: 427 Category: Boards.